Representative Mile Marron has signed-on to sponsor his first pieces of legislation, all of which work together to protect taxpayers. Representative Marron is co-sponsoring a pair of bills to reform the state budget process to help ensure taxpayers and local agencies that serve them will be protected and respected each year. House Bill 1815 requires the General Assembly to begin the budget process each year by adopting a realistic revenue estimate. Representative Marron is also co-sponsoring House Bill 617 which designates as a continuing appropriation monies to be paid to local governments and agencies from the State and Local Sales Tax Reform Fund, the Motor Fuel Tax Fund, the State Gaming Fund, the Local Government Video Gaming Distributive Fund, and the Statewide 9-1-1 Fund. This ensures these dollars will not be held-up by the General Assembly’s failure to pass a budget on time. 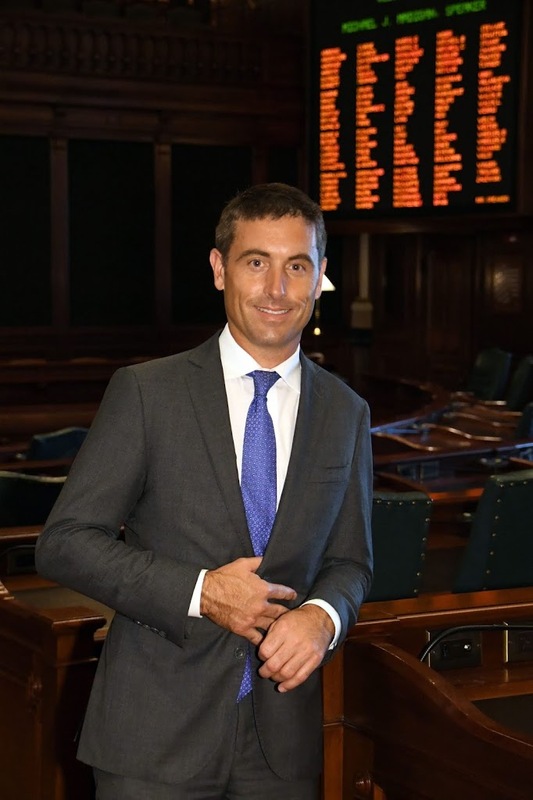 Representative Marron said he will also fight proposals to raise taxes as a co-sponsor of House Resolution 766, which opposes some lawmakers’ plan to impose a new mileage tax on Illinois motorists. “A mileage tax would hit families in our area especially hard because we need to drive farther for every day needs, like groceries and healthcare, than families in Chicago or the suburbs; and our public transportation options are more limited. This is just a terrible, unfair proposal and I will fight it,” Rep. Marron said. “Looking out for the families in this district is my most important job as State Representative, and will be my top priority during the upcoming Veto Session in Springfield,” Rep. Marron concluded.